With over 100 years of barbershop experience among its members, St. Croix Crossing isn't new to quarteting. 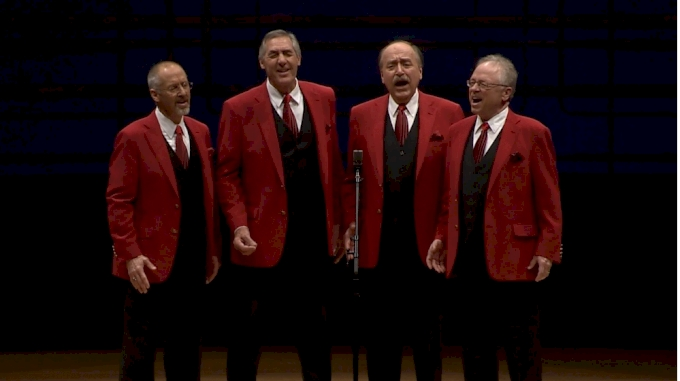 The Land O'Lakes District quartet from Wisconsin and Minnesota has competed together for seven years, with five medals going into this year's International Senior Quartet Championship at the Barbershop Harmony Society Midwinter Convention. After compiling an overall score of 1,367 (75.9 percent), the foursome finally reached the top this past Saturday in Costa Mesa, CA.